Helagaine expandable braided sleeving offers a simple method of protecting cables, hoses and wire bundles. The sleeving is made of polyester material, it is lightweight whilst having a good resistance to chemical attack. VOG10-14 GREY - Helagaine Braided Sleeving. This helagaine sleeving is made of polyester material. This range of expandable braided sleeving offers a simple method of protecting cables, hoses and wire bundles. 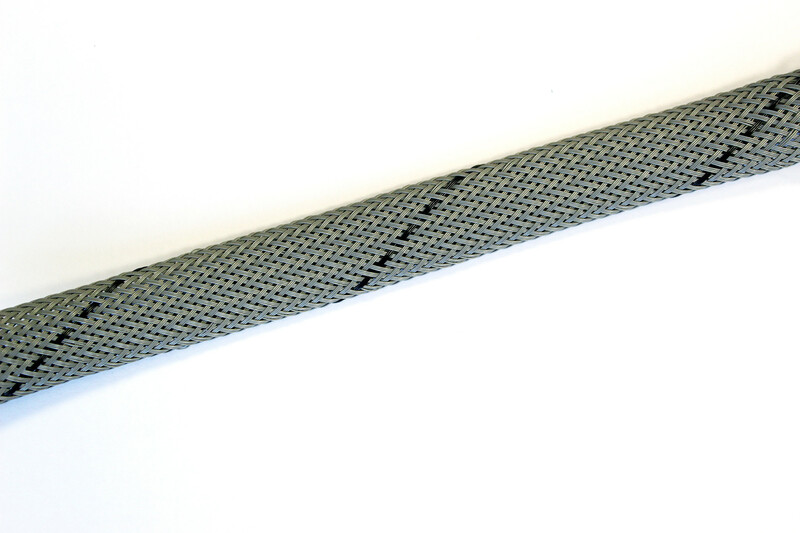 The sleeving is lightweight, made from heat stabilized monofilament strands. It has a good resistance to chemical attack and meets NF fire performance tests. The expandable design means that it can be placed easily over cable bundles, providing excellent physical protection. The HC400 Heavy Duty Bench Mounted Hot Knife Cutter can be utilised to cut the Helagaine Braided Sleeving to prevent fraying. The expandable design means that it can be placed easily over cable bundles, providing excellent physical protection.